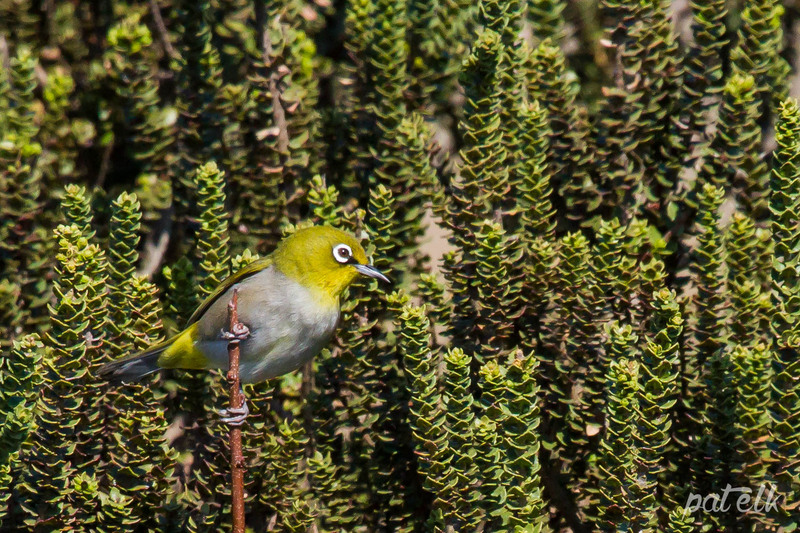 The Cape White-eye (Afrikaans name, Kaapse Glasogie) is a lively little bird, usually seen in a small flock. They are really beautiful and cute. The feed on Aphids, small insects, nectar and fruit. We have them in our garden and have seen them at Intaka Island and the West Coast National Park.